http://www.renegadetribune.com/wp-content/uploads/2016/01/Bundesarchiv_Bild_101I-280-1075-11A_Russland_Brigadekommandeur_Borislaw_Kaminski-190x300.jpg 190w, http://www.renegadetribune.com/wp-content/uploads/2016/01/Bundesarchiv_Bild_101I-280-1075-11A_Russland_Brigadekommandeur_Borislaw_Kaminski-444x700.jpg 444w" sizes="(max-width: 339px) 100vw, 339px">Coincidentally, a fellow named Bronislav Kaminski (June 16, 1899-August 28, 1944) was a Russian military officer who later became a general in the German army and was later killed either in an ambush or executed by the Gestapo. According to the link <http://en.wikipedia.org/wiki/Bronislav_Kaminski>, his father was Polish and his mother was German, but he considered himself a Russian. He served in the Red Army during the Russian Civil War. During the “Great Purge”, Bronislav was imprisoned. Later exiled to a rural region of what is now Belarus, he went over to the German side and became commander of an expanding militia aimed at combating the Red Menace. 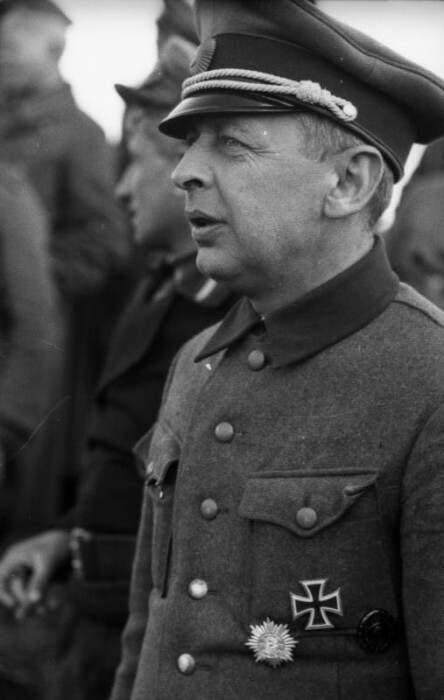 After some success in several battles in 1943, Kaminski was in command of 10,000 soldiers, but his outfit began to suffer desertions as Soviets gained ground. Some 10,000 civilian lives were lost as his troops retreated west toward Poland. But the Warsaw Uprising started that month and Himmler’s plans changed. Kaminski wound up being blamed for much of an event called the Ochota Massacre in Poland, in which 10,000 died under the most distressful circumstances. Later blamed for stealing property that should have been turned into the Reich, he was executed along with his chief of staff. While I was ingesting this material I was also sucking up the Holocaust analyses of Arthur Butz, Germar Rudolf, James Bacque, Ernst Zündel, and Robert Faurisson, and all the other heroes who have battled for decades to try to overturn the Big Jewish Lie that even today railroads so many people into jail.